An easy influence diagram maker that helps make influence diagrams with examples and templates. Quickly and easily create influence diagrams in minutes. Discover why Edraw is the simplest and easiest, yet most powerful influence diagram maker: Download it Now. 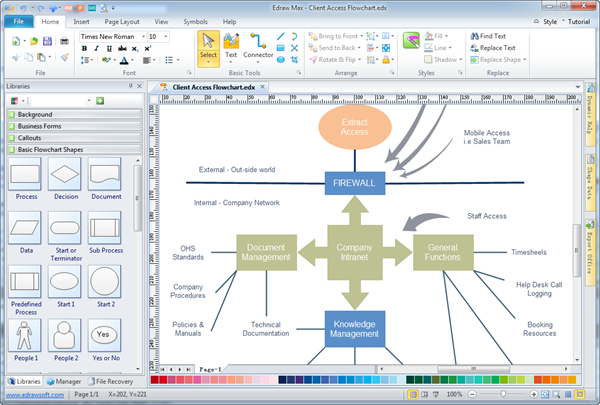 Edraw influence diagram maker is a wonderful full-featured application widely adopted to create influence diagrams. As an industry-leading company, Edraw Software Ltd. is dedicated to providing diagramming solutions that suit all needs of influence diagram designs. We have contained over 6000 symbols and many diversified examples in the program. The interface is rather similar to MS Office and thus user-friendly and easy to use. Users can now create a desired graph within moments but with maximum effect after only a few drag and drop.